#215Declared! Congratulations Mark on your 215th and final Formula One race! Great race, great career, going to really miss you in F1 but looking forward to seeing you race next year!! Thanks for the great moments champ !! Its been emotional! Fantastic F1 career, a true gentleman, great racer, and a top bloke.. I for one will be watching you with Porsche. Good luck for the future and may your success continue. Congratulations Mark on a great career. Honest and true to the end. Great racer and great gentleman. Good luck with your future. much fun and luck for your future!!!!!! A superb race, well driven to the end. When it came to the podium, I had tears in my eyes. You will be greatly missed. Mark – it’s been fun. You will truly be missed, your forthright and honest way manner has been a real treat in F1. Your racing to the limit with style. All the best to you and yours. Congrats! I have followed you since before you enter F1 – I have the supporter T-Shirt (signed by you) that you put out to help you raise money to get into F1 in pride of place. P.S. Now you are done – what happened in Canada 2010, you promised in your book to let us know once you finished. How magnanimous you were with your speeches today. Congratulations on your 2nd place in Brazil, but you are Numero Uno! Thank you, and good luck for next year in your new venture. Congratulations Mark, great final F1 drive brilliant podium an emotional afternoon. Wish you all the luck in the world for your new venture in WEC, we’ll be there supporting you. A true honest sportsman and gent of our time, Porsche are getting someone very special in Aussie Grit. Thank you Mark. Hope your best mate on the podium takes up the baton next year and runs to the finish on top. Top Guy Mark, good luck for the future. last real man left Formula((( oh whyyyyyy!!! Congrats Mate!! Well done!! You were a good soul of F1. Good luck in Porsche! A sad day Mark. I have watched every race of your career and followed you around Europe in the Jag year of 03. F1 will never be the same and the sport owes you a great deal. Good luck with Porsche and hope to see you again in Tassie for years to come. Followed your career for many years and as one of the last Gentleman Racers you will be truly missed in F1. Wishing you every success for your future with porche. F1’s loss is WEC’s gain! Sad day, but well done,best guy in F1, all the very best on your next adventure with Porsche,and with many wins along the way. Thanks Mark, for the fun you showed us, the bravery and the honest way in wgich you presented yourself. Lots of succes with Porsche, but we will miss you!! Congratulations for your 2nd place and moving from 5th place to 3rd place. You certainly have a career to be proud of with F1. I am very happy and sad for you at the same time. I will miss watching you race next year with F1 but hopefully will get a chance to meet you next year in Austin for your Porsche race. I went to Austin this year but did not get in line fast enough in the autograph session to meet you. Best of luck next year with Porsche:). I will be watching F1 for Dan, but now I need to start watching the WEC so I can follow your fantastic racing. Thank you for getting me into F1 and providing us with years of Aussie Grit! A good end to a fine mans career in F1. All the Sky team said that you will be missed in the paddocks next year. Look forward to seeing you at Silverstone next year in your new roll. Don’t leave England completely and return to Oz just yet!!. Mark, I,m devastated that you,re not coming to Tassie. I was so looking forward to seeing you next Sunday to congratulate you. Anyway I know it can,t be helped so I just want to say a big well done on a fantastic f1 career, you,ve done Australia proud. You,re a true champion both on and off the track. I like many others will really miss you. Very best of luck in your new career with Porsche. Top man Mark. F1 will be a poorer place without you. I’ll follow your career next year closely. I know that you will be great. great driver…grace under pressure even when you got SCREWED!!! good luck ahead and TIE ME KANGAROO DOWN SPORT!!! Watched you since the Minardi days, brilliant driver and wish you success with Porsche! Going to be a lot of new fans to sports car racing! Been with you since FF days. You are a true Champion of the world in so many ways. Thank you for the great memories, the great lessons of finding strength from within and showing the world what is Sportsmanship. F1 has lost a great ambassador. 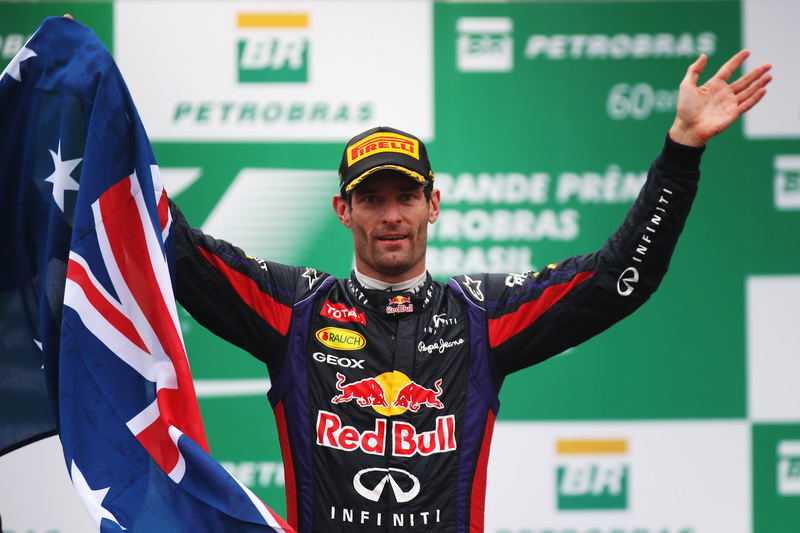 Congratulations from Portugal Mark Webber. You have been an example for those who like sports! Starting now F1 will be much poor. What a star…..some walk a bought Mark…..well done you….. Thanks to be an example as a driver, as a person. What a driver, what an idol, what an inspiring person. I am 20 y.o and you are my racing idol from the very first race. I like how you ”flattened” the stereotype of the tall drivers. We have the same height and you will always be my idol. Meant to also say i saw you at singapore f1 this year, in sept 2013, at airport (if you still remember and outside paddock fans area for autographs). Really Enjoyed the race and saw you jump on alonso’s car was awesome too. Will miss you! A true sportsman who wouldn’t do it if it wasn’t right. Brilliant attitude when things went wrong. Genuine personality that will be missed. All the best for your future with Porsche. Congratuatulationd Mark on wrapping up your F1 career in style with a podium and fastest lap. Followed you since F3000, was there at Melb in 2002 for your amazing debut, met you a couple of times at MWSC functions in Melbourne, chatted with your Dad at Bridge Motors in Qbn and tried to watch every one of your races live. You always entertained when you had the wheels under you. You’ve done yourself, Queanbeyan and Australia proud. Thanks for giving us a champion to cheer on and good luck with your future racing endeavours. You’re done:(…… But We’ll done! A true gent of the sport and one I will sorely miss. For the last 11 years I have watched you grow and I am truly going to miss you in F1. Congratulations on a fantastic F1 career and all the very best for the future. A total class act. One of the best Aussie sportsmen of all time. 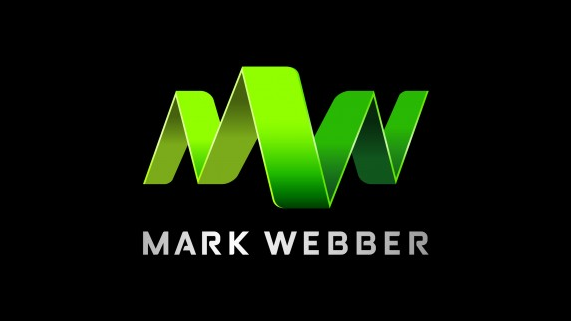 Well done Mark Webber. I have loved watching you race for 12 yrs. Thankyou. All hail a true Aussie champion you have kept us all enthralled and affixed to every F1 race for twelve years had the pleasure of meeting you with Glen Archer in Monaco in 2012 you came through and won making it one of the best experiences of my life you said then you loved Porsches now you can shout it out loud go get em at le Mans looking forward to seeing your honesty and dedication continue to pay dividends for you thanks for staying a true Aussie the sensational Ride in F1 gook luck at Porsche mate!! well done fantactic and your now up there with sir jack and alan jones, WELL DONE MARK WEBBER!!!!!!!!!! Great talent, maximised through incredible efforts and a thoroughly decent man……..not a bad way to be regarded. Congratulations champ on a great F1 career, being a long term expat Aussie you have made us all proud, the manor in which you have conducted your career (so far)and the success you have had are a credit to you mate. See you at LeMans ! Mark you have made me so proud to be an Aussie, your determination and passion is always on display, you no nonsense approach, honesty and integridy will be your legacy. Its enought to bring a bloke to tears. Love ya mate!! F1 is missing you already Mark. Will be hollow without you. Mark, was at Albert Park to watch you debut and cheer you on in 2002 and got up at 3am to watch your last race in Brazil 2013.. Thank you for giving all Aussies something to cheer.. and showing the world true honest Aussie fighting spirit. May you be even more successful in the enduros! May get to Le Mans! Ciao Mark,è la prima volta che ti scrivo e come vedi lo faccio in italiano; l’inglese lo parlo poco e a livello scolastico. Voglio dirti se leggerai questo commeto che mi sei sempre piaciuto come persona e come pilota. Sei rispettoso intelligente e onesto in pista. Mi dispiace che non hai vinto un mondiale non perchè cambiasse qualcosa, ma solo per dimostrare ( anche se non serve farlo) che sei veramente un gran pilota. Purtroppo e tu lo sai meglio di tutti noi che ti scriviamo, che alla Red Bull il pilota( pupillo era Vettel)che a me non è mai piaciuto e tanto meno all’inizio di questo mondiale come si è comportato nei tuoi confronti. Comunque la gente, il popolo sportivo ha capito chi è Vettel e ha capito chi è Webber. Ti auguro in bocca al lupo per la tua nuova avventura in Porsche ricca di soddisfazioni. Se vuoi rispondere naturalmente in inglese mi farebbe piacere ma penso tu non abbia tempo. keep fightin’ good fight Mark. Even the KOOKABURRAS joined in with the celebrations. At 0450 in Port Macquarie , some Kookaburras outside my front door started one hell of a commotion on your slow – down lap and continued non -stop right through to the champagne on the podium – they were at their very loudest drowning out the German national anthem. Well done Mark ! Hi Mark i guess i will be watching sports car racing next year ,well done and thanks for doing your country proud. A great amongst greats! A Gent amongst boys. A Great Career and F1 will be poorer for you leaving. Thanks for the memories. All the best for the future in sports cars. Thanks Mark! We will miss you in f1! Wish you a great time at Porsche and a lot of fun! Thanks, Mark!!! Greetings from Poland! At0450 on 25 Nov here in Port Macquarie,on your slow-down lap , even the kookaburras outside my home joined in the celebrations kicking up a huge non -stop commotion right through to the champagne on the podium. I guess they were also celebrating your wonderful career in F1. Well done !!!! Best No. 2 driver ever !!! Thanks Mark for a your wonderful contribution to motorsport over so many years. We all look forward to your next challenge. Australia is proud of your commitment and achievements. Thanks Mr. Webber for enjoy F1 with you. I think that you are NOT another pilot YOU ARE A FANTASTIC PERSON. Congratulations for your style…. A true inspiration mate. Those who can blend success with humility are life’s winners. You were one of my few favourites, even in weaker teams. I think you got the deserved champion car a bit late, but F1 is a bit too much about money now, many good guys not even get a seat, as you mentioned. Ofc, you are at least one time world champ on my list 🙂 Gl, hf Mark! Congratulations Mark and thank you for this F1 season. Mark, Thank you for being such an inspiration and such a tenacious driver. You killed it and became a respected Aussie legend in the process. You carry yourself with old school cool ….and you left nothing out there…… You were the reason I watched F1, your results severely understate how good you performed. Your recovery from the back of the grid late this season was just one clear example of your awesome skills. Thank you for the great races in F1 and all the best for Porsche where I know things will be awesome! Nice team at Bathurst too. Enjoy ! Well done Mark F1 will be missing a great driver and a true gentleman but whatever motorsport you do it will be enriched with your contributions. Congratulation for your carreer in F1. I will support you in your new challege. The next time in Brazil your are my guest for barbecue in my house. I had just only opportunity met with you..a long time ago in Sao Paulo in event of Jaguar with Pizzonia..
Best of luck on you new endeavor. F1 and RBR will not be the same without you. Thanks, Mark, for all the great racing memories!!! Good luck in your new endeavor Mark. I have really enjoyed following your career thus far and will follow you still. Your a true Australian and you make me proud to be Australian. Good luck in this next phase. Top man, Top driver. F1 a poorer place without the straight shooter. Keep up the great work in your next endeavor. Truly one of the greats. Farewell from Canada. I have always enjoyed you in F1 and liked your attitude. Maybe you have got further if you were not such a good person but then I would not have rooted for you.